I am so excited to be giving away many of my favorite things!! This is going to be so much fun! I can’t wait for you to see all the great prizes I have lined up! After having 2 boys first, it is so much fun to dress my little girl up in Matilda Jane! There are very few pieces that I haven’t fallen in love with! Don’t worry if you don’t have a daughter yourself, you can still enter to win! If you win, you could be the coolest Aunt, Grandma or friend around if you coming toting a Matilda Jane gift!! 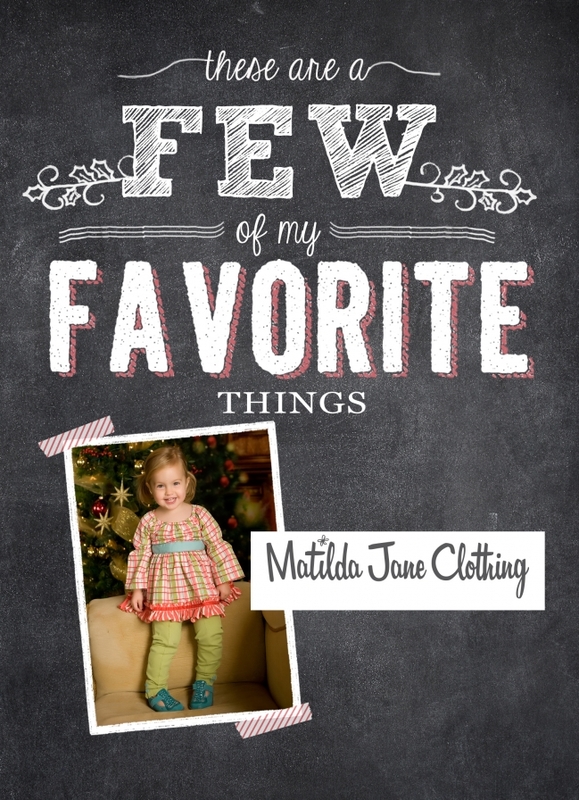 To win a Matilda Jane Clothing piece for someone you know…just follow the simple entires below! Winner chosen at random at 10pm tonight! If you submit a MJ order today, you will get a 10 bonus entries! !